When you are first starting as a gardener planting your plants can all seem very confusing! You have to get them them out of their pots, decide where you are going to plant them and then try to dig a hole which is the right size! It really isn’t that difficult, however, like anything if haven’t done it before it can all seem rather daunting. So let’s take a look at how to go about planting plants. Before you actually get round to planting anything you need to decide where you are going to plant them. The easiest way I have found of doing this is to leave them in their containers and then arrange them in the places you think you might want to plant them. If you don’t think they look right then move them around. Just keep moving them until you are happy with where you have placed them. Don’t move them once you decide where you are going to put them otherwise you will have to go through the whole thing again! Leave the plants where you are going to plant them so that you will know where to dig the holes. When you first start gardening, people can get concerned about about digging the holes. How deep are they meant to be? What if you make the hole too big or too small? It can be a bit confusing however remember if you make it too big, you can fill it back in with the loose soil and if it’s too small you can dig some more soil out. As a general guide you want to plant at the same level that it is in the container it came in. So you will want to dig your hole as deep as the container it came in. You might want to go a little deeper and make the soil a little loose so that the roots will have an easier time burrowing into the soil. You also want to make the hole a little wider than the pot so that there is some room for you to get in there and settle the plant in. Another garden task that people worry about is removing the plants from the containers they came in. You might worry that you will damage them as you try to get them out of the pots. The best thing to do is to pinch the sides of the pot which will help to keep the soil from clinging to the pot. Then gently grasp the stem of the plant and start to turn the pot upside down which lets the roots, soil and plant slide out. If the plant won’t move then you can always gently cut the pot away. Start by gently trying to spread out the roots. You will sometimes find that they are really compacted so you will need to gently tear them apart although not too roughly! You want to loosen them a little so that they can then grow down into the soil. Once you have done that place the plant into the hole spreading the roots as much as it is possible. Do make sure that your plant isn’t leaning to one side. Once your plant is securely in the hole you have carefully dug and the top of the soil is level with the top of the hole, make sure that you fill any empty spaces in with the soil you had originally removed from it. Then gently but firmly pat it down, not so that it is compacted, but just enough to make sure that there are no air bubbles. Then you want to water the plant and give it some starter fertilizer. Like me you cannot have failed to notice that grocery prices are continuing to rise as well as fuel costs. So you are not alone in thinking that you want to grow your own vegetables and you don’t need any extra equipments such as lawn sweeper. So establishing your own spring vegetable garden is a great idea. Before you can begin planting you need to prepare the area you are going to use for your vegetable garden. Start by tilling the area you are planning to use and remove any clumps of grass. Or if you can till deeply you can incorporate the organic matter into the soil. Do a soil test to see if it has the right mineral content. If you need to add any nutrients to the soil then you need to do that before you start planting. You are going to find that growing your first vegetable garden will be easier if you start with seedlings. If you do start with seeds, then you will want to start them indoors for about eight weeks before you plant them outdoors. When you are sure that the ground can be worked the first vegetables to add to your garden are spinach, peas and onions. 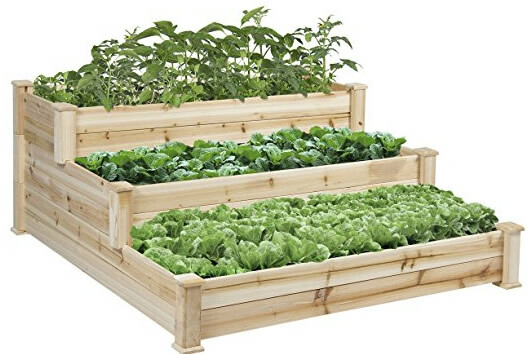 You may also be able to plant lettuce, beets, carrots, cilantro, dill, radishes, cabbage and broccoli when you know that you are unlikely to get any more frosts or a couple of weeks before the the last frost. When you are certain that you have had the last frost, you can then plant melons, squash, cucumbers and beans. This is also the time to think about planting tomatoes, peppers, eggplant, pumpkins and basil. Learning how to plant your own spring vegetable garden can be great fun and very productive. You may even have vegetables that you can use in as little as four weeks. Make sure that you keep on top of the spring vegetable garden by pulling out any weeds and keep it well watered but not so that it becomes muddy.